Moving Units est une formation US de rock indé "punk-funk" dans le style Radio 4 / the Rapture. En 2003 ils sortent un premier EP de bonne facture sur lequel figure le classique mais on ne peut plus efficace Melodrama aujourd'hui en écoute! Leur premier album est très cool également, en revanche on peut faire l'impasse sur le second. 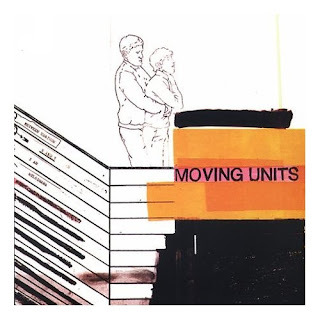 Moving Units is a US indie band, of the same kind as Radio 4 or the Rapture (the "punk-funk" sound). In 2003 they released their first EP, a pretty good disc wich includes our today song: melodrama. Their first album is also worth-checking with some great cuts, sadly their second attemp on a long play was quite deceptive.